I had no idea I had so many pretty eyeshadows in my stash, collecting dust! If you read my November goals post (here), I mentioned that I wanted to clean out my makeup drawers and sort through everything. I ended up finding a few gems in there that I completely forgot I had. A bunch of them were single eyeshadows. 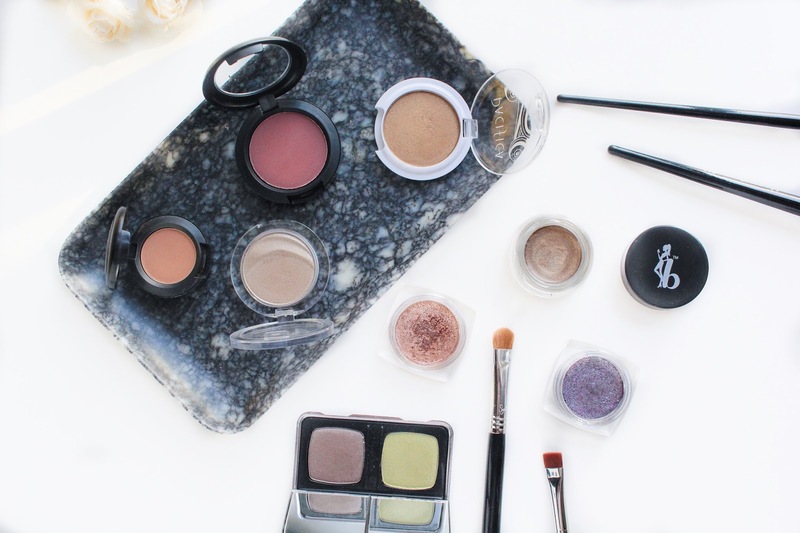 Whenever I do my makeup, I usually use palettes and totally neglect these little shadows. But enough's enough, I'm now making an effort to get more use out of them because they're just way too good to rot away in my drawers! 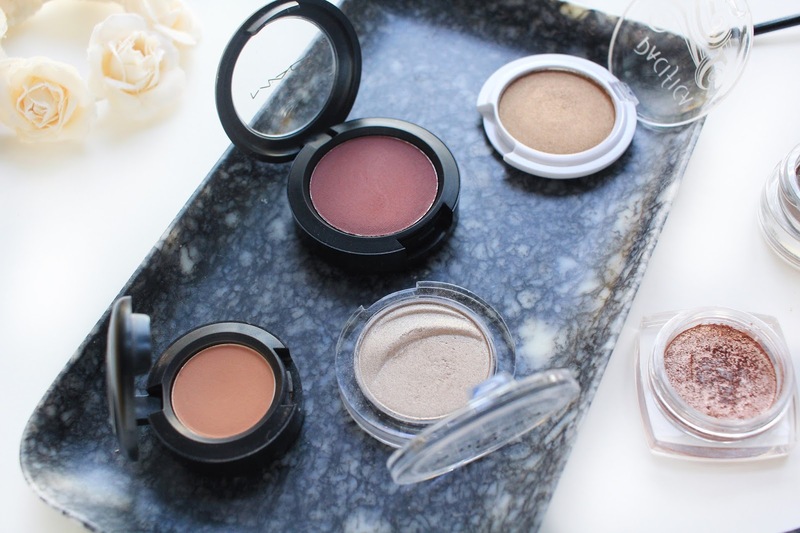 Essence Eyeshadow in All I Need | I bought this pale gold eyeshadow initially to use as a highlighter for the $20 Makeup Challenge (post here) but when it came down to it, I realized it was way to dark to be a highlight. Though that was a fail, it still is a really pretty shadow. It's really pigmented and buttery! This surprised me as it was an extremely inexpensive drugstore shadow. I definitely want to try more shades from this range. Pacifica Eyeshadow in Treasure | I received this in an Ipsy bag a while ago and thought it was gorgeous when swatched, which is why I kept it in my collection. It's a bronze gold shimmery shade. I find that it's not as buttery as the Essence shadow, but it is still pretty pigmented. 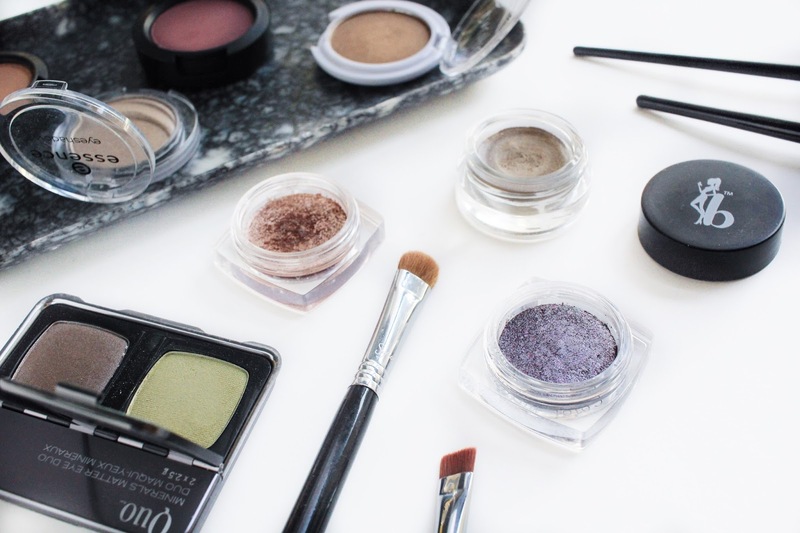 Quo Minerals Matter Eye Duo in Green Amazon | I've never tried anything from Quo until my aunt gifted this to me. The duo comes with a lime green and a dark brown shimmer. I honestly do not care for the lime green shadow as it's pretty chalky and doesn't pack a punch. The brown shadow on the other hand is why I'm keeping it around. It's super pigmented and is a beautiful shade that I can use for smokey eyes or something. 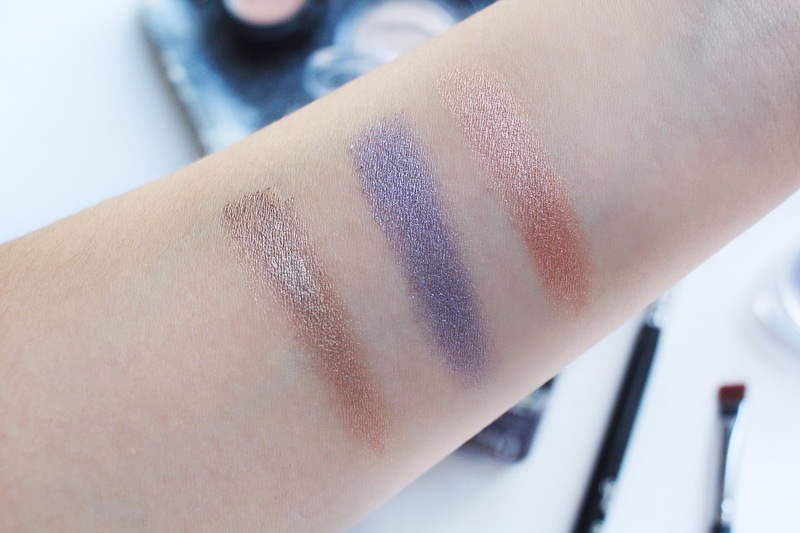 MAC Pro Longwear Eyeshadow in Mauveless | I am so happy that I rediscovered this one because I am currently obsessed with berry tones at the moment. This is the perfect eyeshadow to pull out this season. MAC Eyeshadow in Soft Brown | This is the first eyeshadow I've ever owned from MAC and I have absolutely no regrets. It's the perfect transition shade or for just throwing on a wash of colour on the lids. When I travel, this comes along with me almost every time. Be A Bombshell Eye Base in Submissive | I also got this one in an Ipsy bag. Never really used it much but it's such a pretty bronze colour to use as a base. I think it would be perfect under All I Need or Treasure. Definitely going to try it out very soon. L'oreal Infallible Eyeshadow in Metallic Lilac | This is a gorgeous lilac shimmer that I don't show enough love to. I don't think I'll be pulling it out this season, but I think it would be really nice to wear during spring. L'oreal Infallible Eyeshadow in Amber Rush | This has to be my top drugstore eyeshadow find of all time. This rose gold-ish shadow is so pretty. It's so easy to just put this all over the lid then throw on some mascara - you'll still look put together with this lazy makeup look. 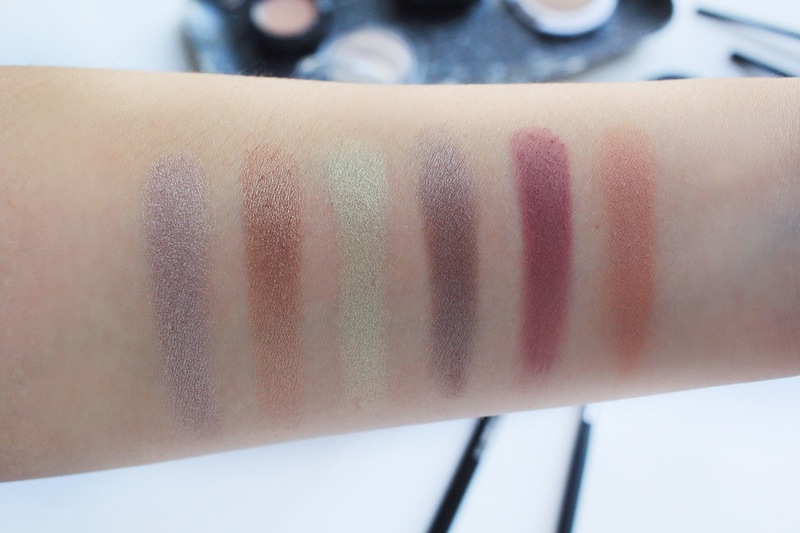 What are your favourite single shadows?